Could there be a pirate treasure buried in Bayport? Captain Sid, the owner of a souvenir shop, says there is. 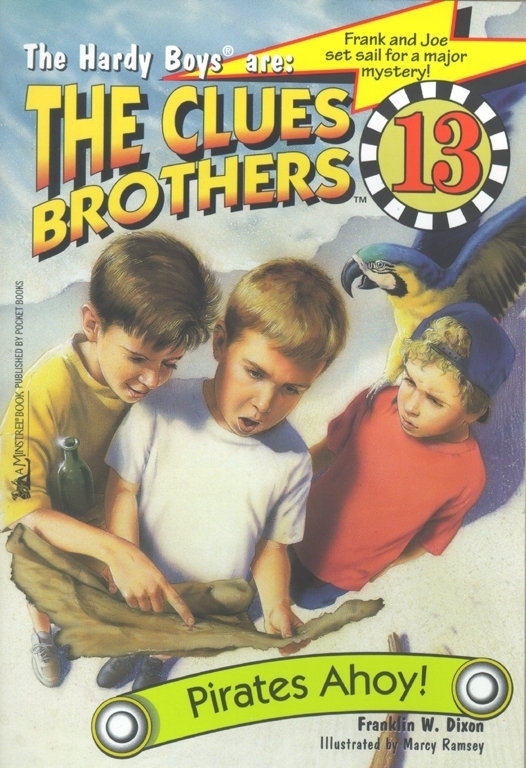 When Frank, Joe, and Chet meet Sid on their way to go sailing, he tells them about a pirate ship that sank off the coast of Bayport four hundred years ago. Book Cover Image (jpg): Pirates Ahoy!